Japanese Furin, or wind bell arrived from a producing area of cast iron. The lingering tone is gender and beautiful. The sound assimilates into the air. We would like to introduce “Tabletop wind bell” from WDH. This is a very stylish tabletop wind bell. In fact, it has got attention from the world these days. Japanese furin is a special feature of summer. The clear sound cools us. 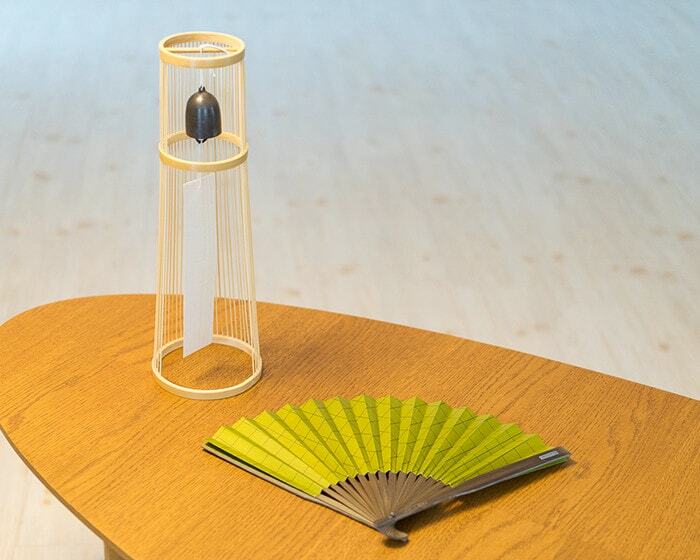 On the contrary, this tabletop wind bell can be an interior goods. So, you can enjoy Japanese Furin whole year. 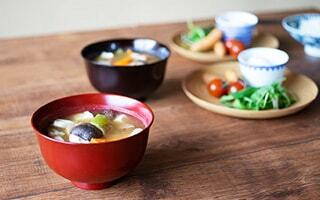 During summer, please enjoy cool feeling with the natural breeze outside. You can remove the wind bell from the bamboo stand. So, hang the Japanese Furin in garden or under the eaves. In winter, set the Furin on the stand, and you can enjoy the world of Zen in your room. Please enjoy a life with tabletop wind bell. 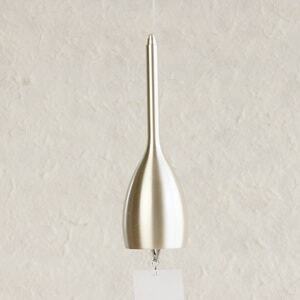 Stylish tabletop wind bell would be great item for housewarming gifts or birthday gifts. 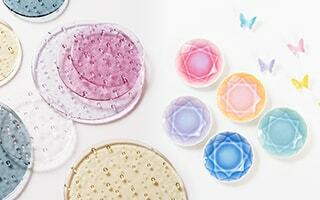 Order for Tableware wind bell of WDH? 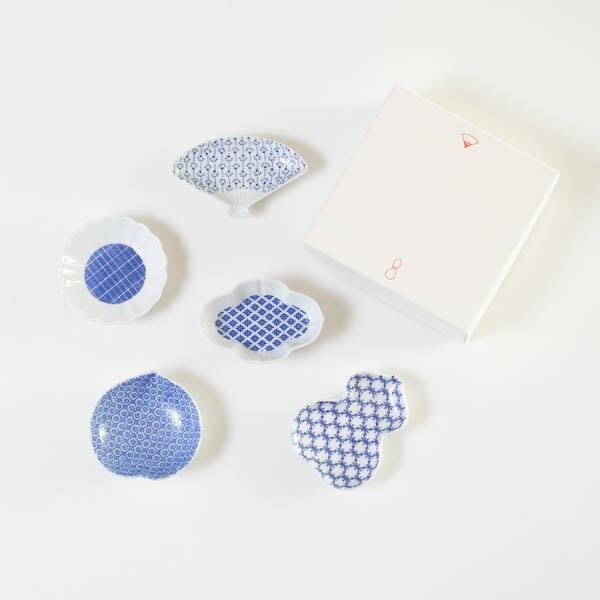 Leave it to Japan Design Store!! The Japanese Furin of WDH makes clear and gentle sound whenever its strip of paper swings in the breeze. Craftsmen compound materials in their original way to make the brass sounds well. The special brass is melted in high temperature, and poured into a mold. Then, craftsmen shave and polish the casting one by one. That is why the Japanese Furin has unique atmosphere. 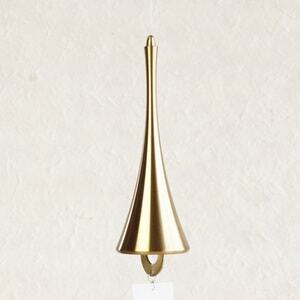 WDH offers 2 colors of tabletop wind bell; Black and Gold. Black Furin makes lower sound compared to the Gold one. Gold tabletop wind bell makes higher sound. If you would like to enjoy calm atmosphere in the twilight, we recommend black wind bell. 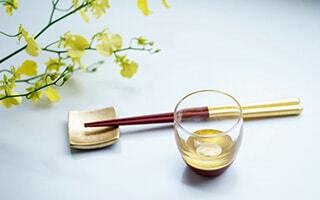 For the pleasant time in hot sunny day in summer, we recommend sophisticated clear sound of gold tabletop wind bell. 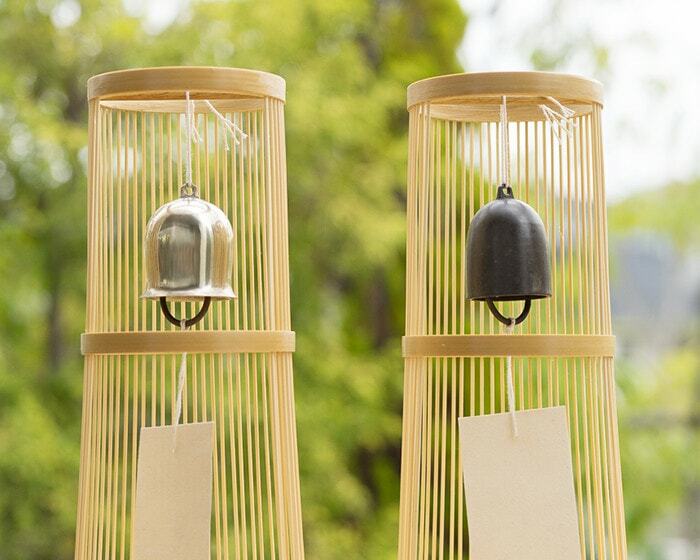 WDH and the craftsmen collaborate to produce the noble sound of this Japanese wind chime. 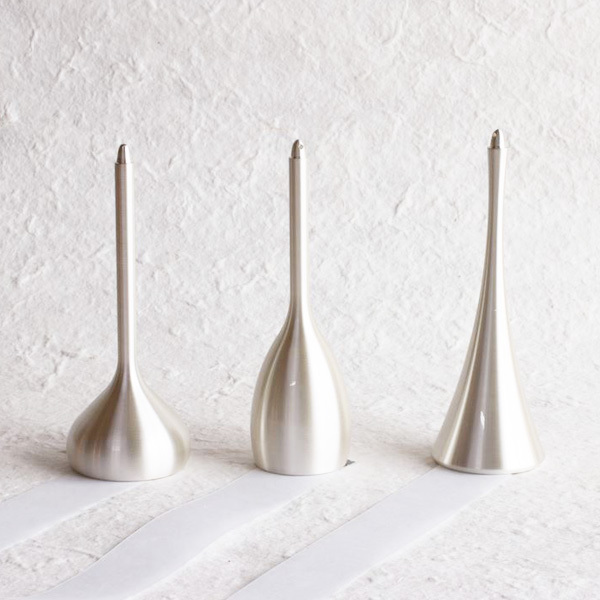 The beautiful tone of the wind bells give elegance to the atmosphere of your room. 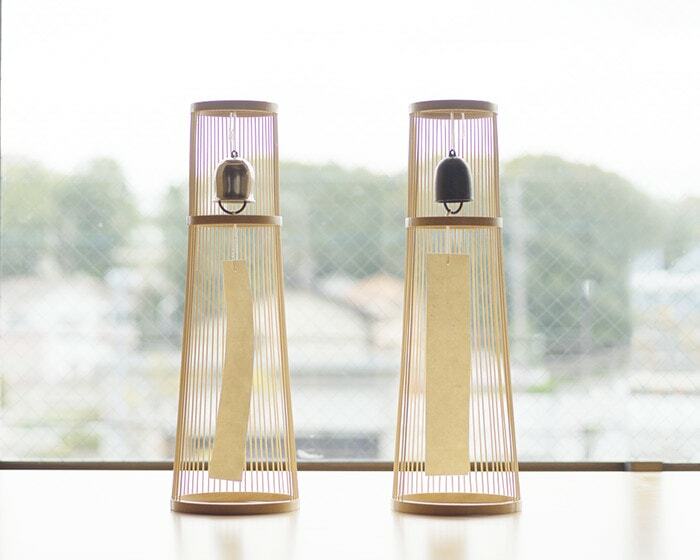 The Tabletop wind bell of WDH is produced in an atelier in Odawara city of Kanagawa prefecture. Kanagawa prefecture has been a prosperous region of casting. Now, craftsmen in Kanagawa mainly produce instruments such as Japanese wind bells or hand bells, flower vases, or Buddhist altar fittings. Among them, the instruments have got great reputation by the delicate work of craftsmen. The craftsmen produce the instruments one by one with the pursuit to the sound. The 3 bamboo hoops in top, middle, and bottom of the stand is arched by craftsmen in the superb heat control. We can hardly see the jointed place of the hoops. In the hoops, there are 41 thin bamboo sticks. Skilled craftsmen work the cut bamboo into thin and rounded sticks. Then, they insert and adhere the bamboo sticks one by one. So, the stand of tabletop wind bell is very delicate, but stable as well. The sophisticated form of the Japanese Furin stand reminds us the “Yukizuri” in the cold area of Japan. Yukizuri is done to protect trees from heavy snow. A lot of ropes cover trees like a cone. The scenery of Yukizuri resembles to the tabletop wind bell of WDH. 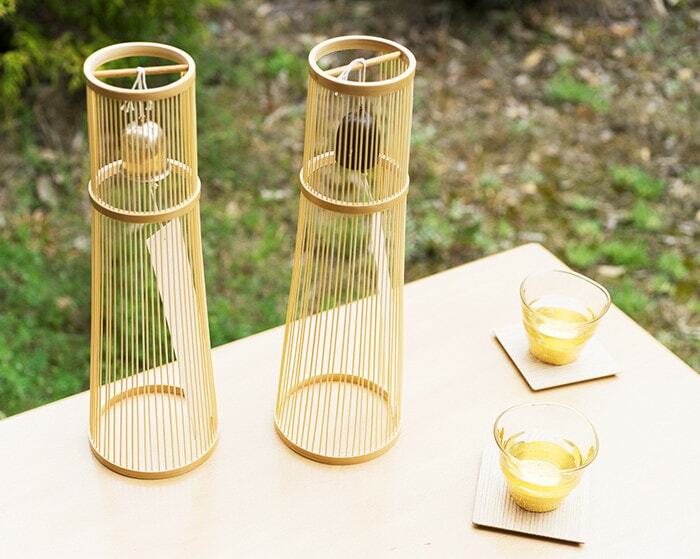 The supple and smooth carved lines by bamboo sticks give a calm atmosphere to the daily life. Also, bamboo changes its color and gloss as the time passes. Bamboo gains beautiful color and gloss like an amber. So, please use and love the tabletop wind bell for a long time. 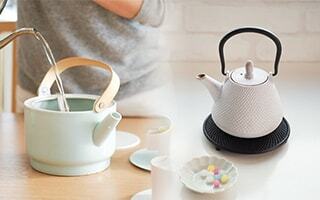 Suruga bamboo ware (Suruga Take Sensuji-zaiku in Japanese) is a traditional craft in Shizuoka city of Shizuoka prefecture. Shizuoka is an area that produces good quality bamboo. Many bamboo wares are found at a Yayoi period (about B.C. 3C ~ A.D. 3C) site. In Edo era, (about 200 ~ 400 years ago) Bushi started bamboo work as their additional jobs. They produced bamboo lampshade-shape hat for travel or hunting. In 1840, craftsmen in Shizuoka started to use thin and rounded bamboo sticks. An Okazaki clansman Ichiga Suganuma introduced the skill of bamboo work to Ihe Shimizu. Mr. Shimizu improved his skill many times, and started to produce delicate works of bamboo. The bamboo ware varied pillows, incent cages, or flower basket. In 1873, the Suruga bamboo wares were exhibited in Vienna international exhibition as a Japanese craft. 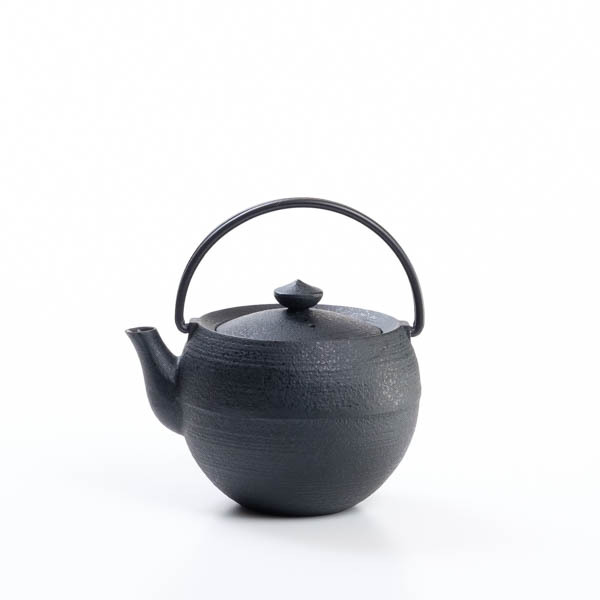 The elegant and delicate work of Suruga bamboo ware got great reputation. 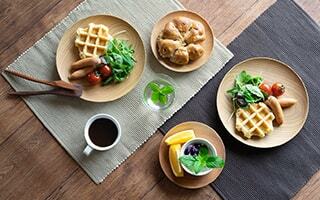 The bamboo ware became a representative export goods of Japan. Now, the number of craftsmen is less than its most prosperous time. 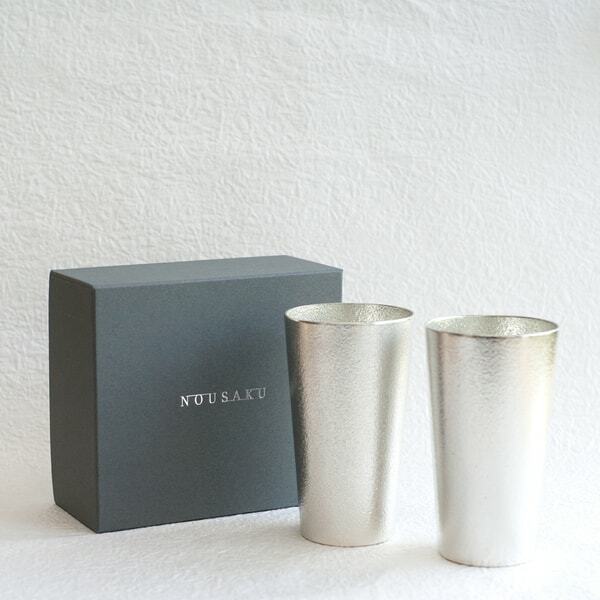 However, craftsmen inherited the skills of Suruga bamboo ware. 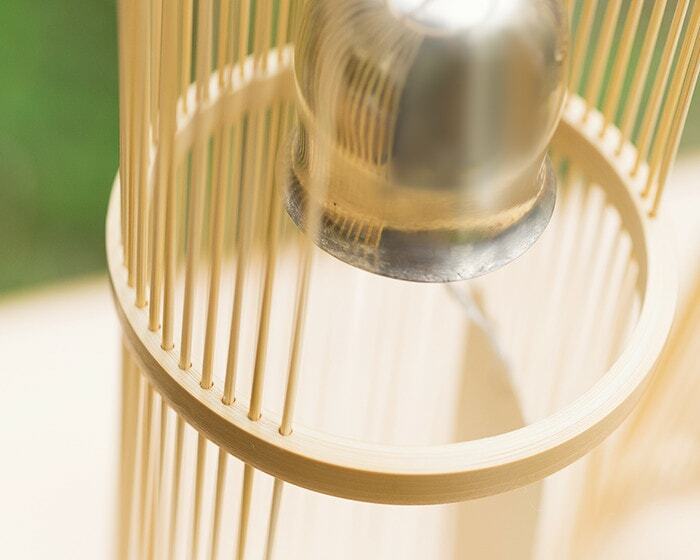 The stand of Tabletop wind bell from WDH is produced with this historical skill. You do not have to worry about hanging place for this Japanese Furin. You can put the tabletop wind bell anywhere in your home. 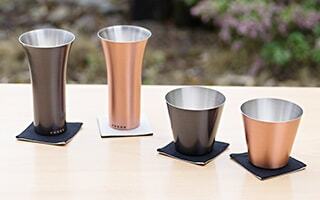 If you mind the noise of Japanese furin to your neighbors, tabletop type is better. You can enjoy beautiful sound of Furin in your house. 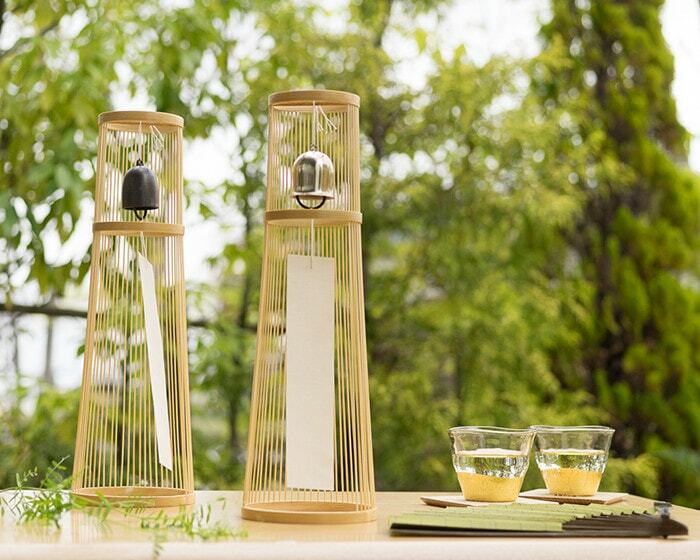 The tabletop wind bell has Japanese traditional, but modern design. Just put the Japanese Furin as an interior good or art object. It makes your room more elegant. For example, at the entrance, the Japanese Furin always welcome the family member gently. In the bed room, the wind chime heals you with the clear sound. 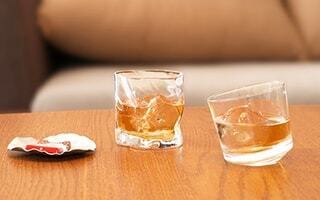 On the side table of the sofa, family members can enjoy the tone together. It is said that the sound of Furin has healing effect by 1/f fluctuation. 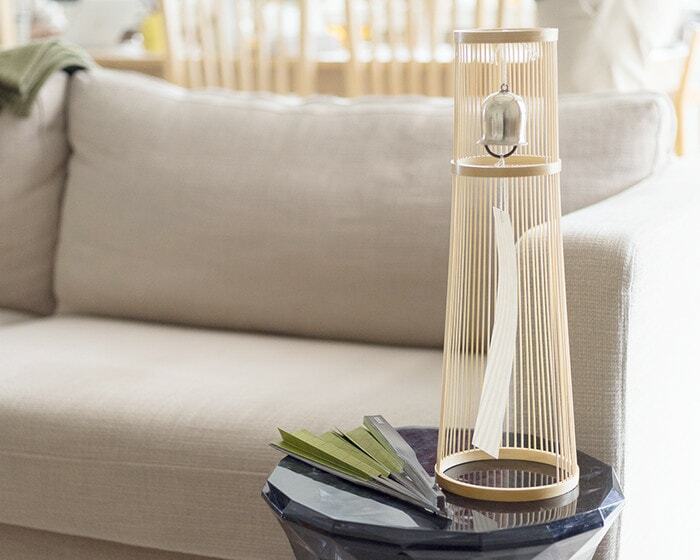 Like murmur sound of river, or song of birds, the sound of Japanese Furin makes us relax. Please ease you with the tabletop wind bell of WDH in your favorite place. Japanese Furin can be an auspicious gift. In Japan, wind bell has been called “Narimono (鳴り物)”, or musical instrument. Japanese people love word play. “Narimono (鳴り物)” reminds us “Narimono (成りもの).” The latter word means to succeed or get promoted. So, Japanese Furin has been treasured as talisman or auspicious item. Auspicious wind bell would be great item for housewarming gifts or wedding gifts. When your friends open his or her own store or company, how about sending this tabletop wind bell? The office or store will be more stylish and filled with relaxing sound. WDH produced this stylish tabletop wind bell. All the products of WDH have special care. 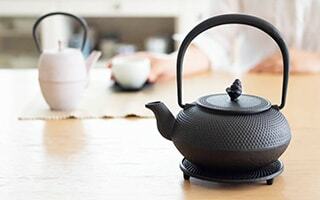 Among various Japanese traditional skill, WDH suggests a high-quality lifestyle generated by the highest-quality manufacture. WDH produces original items that people can love and use it for 10 years or 20 years. 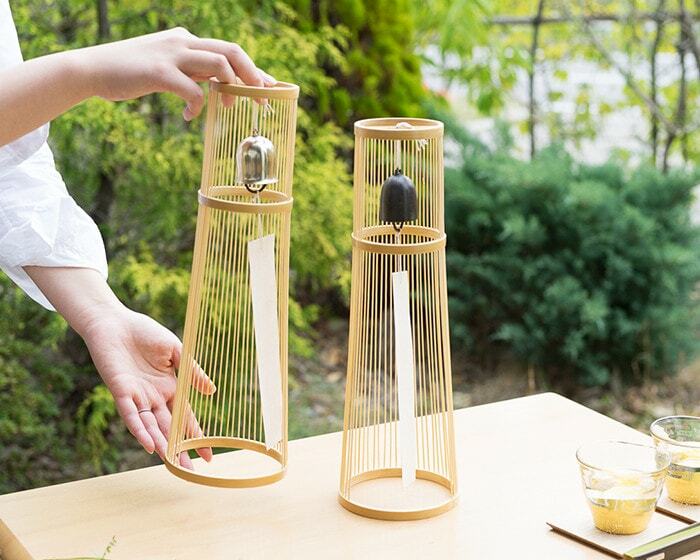 Tabletop wind bell of WDH is a set with wind bell, stand, paulownia box, and a tape of box. 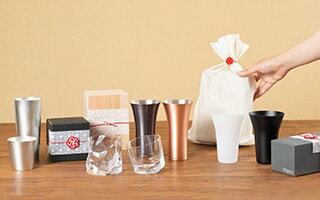 All the items are produced with Japanese traditional skill. 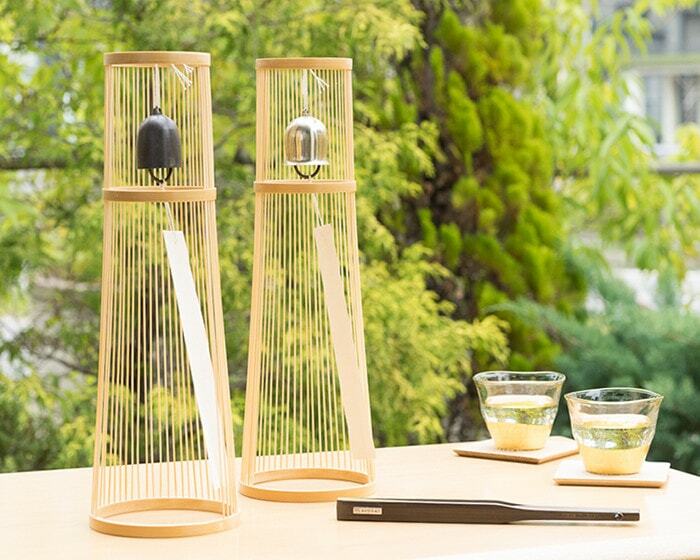 You can feel the superb manufacturing of Japan from every corner of the Tabletop wind bell. 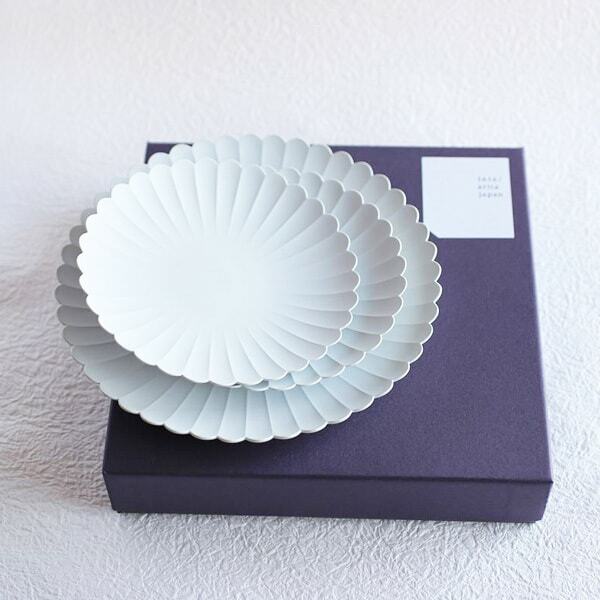 The Japanese wind bell set of WDH is within a beautiful paulownia box. 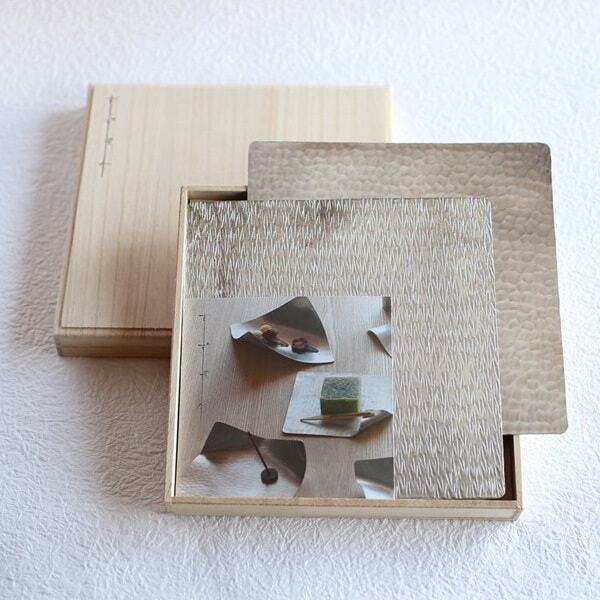 This paulownia box is also produced with traditional skill. The craftsmen who repairs the collection of art museum or museum produce this box. In Japan, paulownia box has been used as the box for antique or art piece. WDH uses this traditional item for the box of Japanese wind bell. Paulownia wood has been respected as an auspicious and lucky wood. The nonflammable nature of paulownia wood makes it be used for the box of art piece or high-class chest of drawers. The ignition point of paulownia is about 400℃ (752℉). Also, paulownia wood is less contract or expand, or warped. So, it has high airtightness. Paulownia is hard to be influenced with outside temperature or moisture. 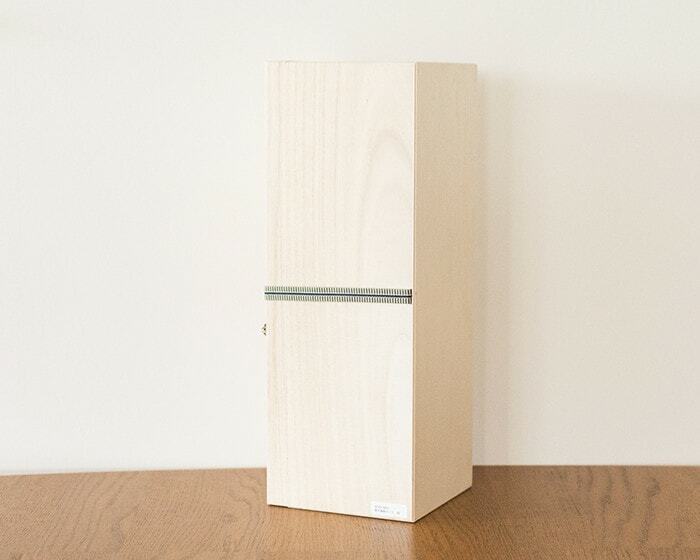 Therefore, paulownia box is appropriate for long-term storage of important items, especially in Japan. The climate of Japan changes dramatically in a year. In fact, there is a history that the paulownia chest of drawers protected the clothes and important items inside when it got fire or flood damage. Furthermore, paulownia box includes natural components that is strong against insect damage or rot. Please love the paulownia box of tabletop wind bell as a great storage item, not just a box. Have you ever seen the thick tape fastened on the paulownia box of Japanese Furin? 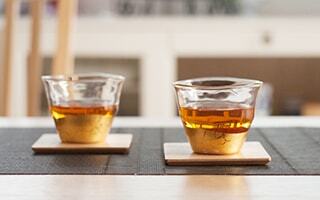 This is “Sanada himo (tape).” If you love Japanese tea ceremony, you may know this. 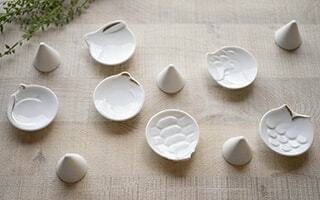 For the box of tea bowl, the Sanada tape is tied in cross. For the tabletop wind bell of WDH, it is a bowknot. 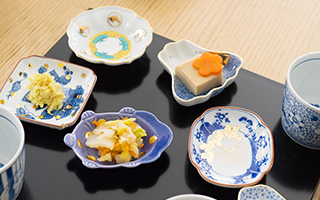 The combination of traditional paulownia box and Sanada himo makes cute and classical atmosphere. The name of “Sanada himo” originated from a samurai Sanada Masayuki. He is a father of famous samurai Sanada Yukimura. Masayuki loved Sanada tape as strong and tough tape. Sanada tape is made of thick cotton thread. It is woven with warp and weft. The tape has the shape of flat and narrow bag. So, Sanada himo is hard to be extended. 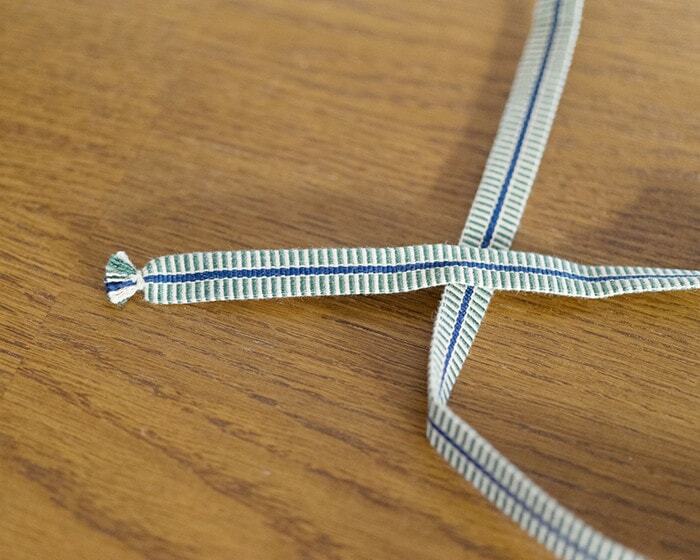 Samurai used this tape as cord for attaching sword or decoration of armor. In addition, people use Sanada tape for tying important items such as paulownia box for tea utensils or a cord for kimono. 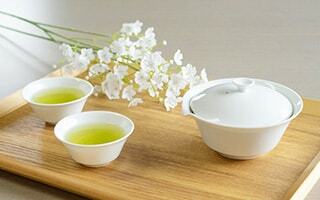 For the paulownia box of tea utensils, mainly green tape is used to suit the color of tea. The Sanada tape for the Japanese wind bell of WDH is also green and blue. 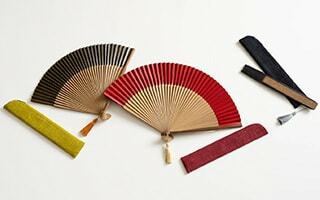 Nowadays, people use Sanada himo for straps of camera or mobile phone. 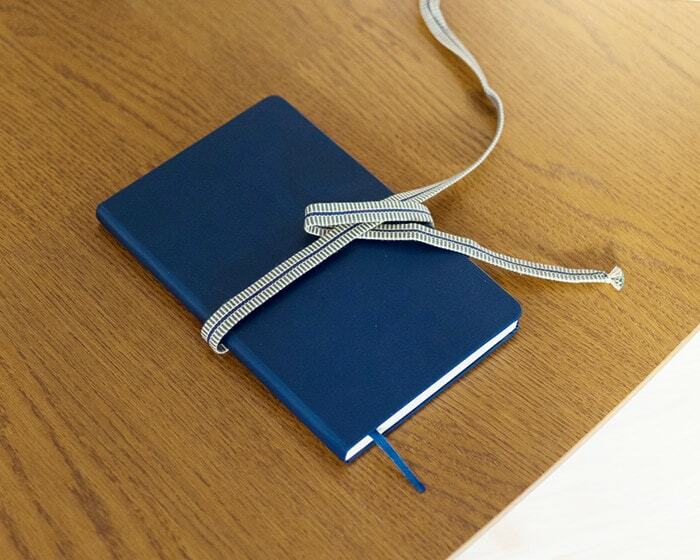 Also, people tie schedule book or book with the traditional tape. Some people wind the tape around the handle of bike to make it nonslip. 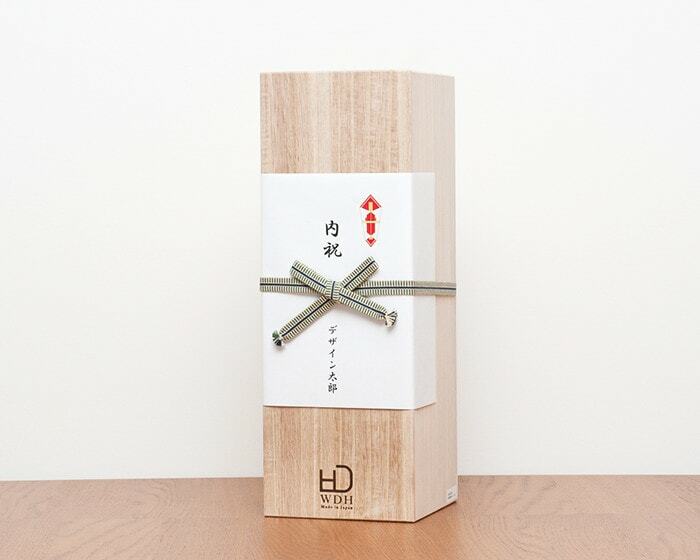 Sanada tape is also a precious item produced with traditional skill, like the paulownia box. The color combination of the tape for the tabletop wind bell is very stylish and calm. 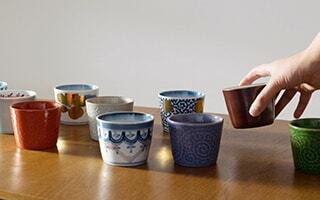 Please enjoy the touch and usability of Sanada himo. 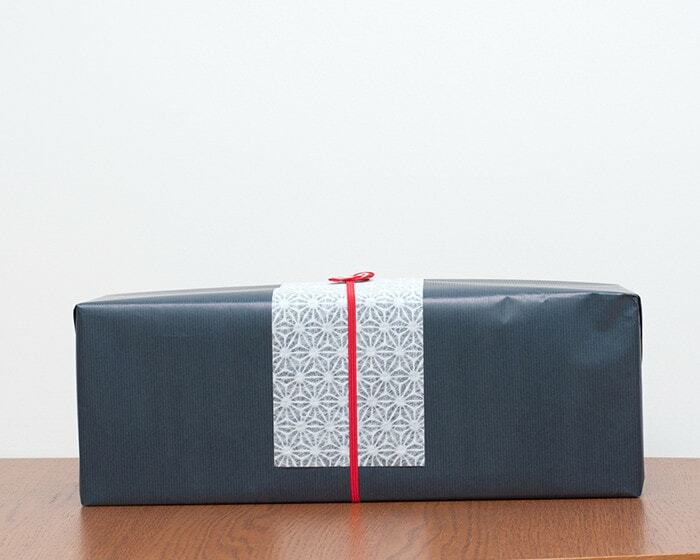 In Japan, there is a custom of sending gifts to important people in summer. It is called Ochugen. 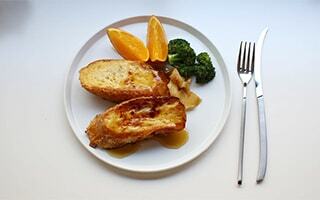 To survive hot summer, people send cool food such as fruits, jelly, or sherbet. 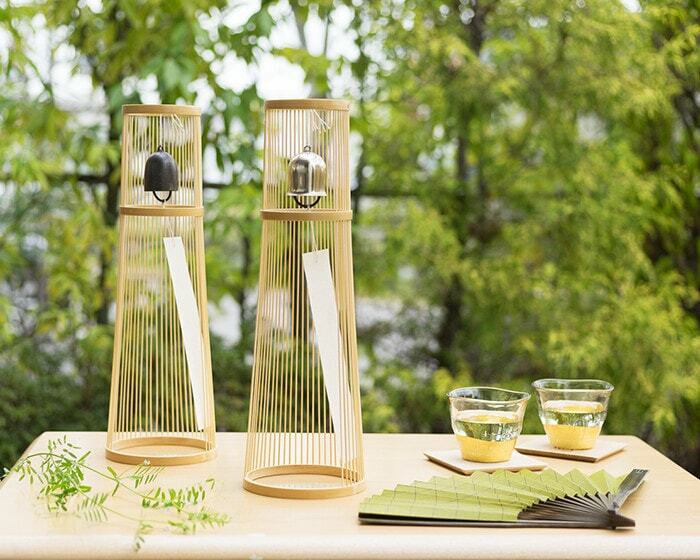 How about sending cool feeling with the clear sound of Japanese furin? 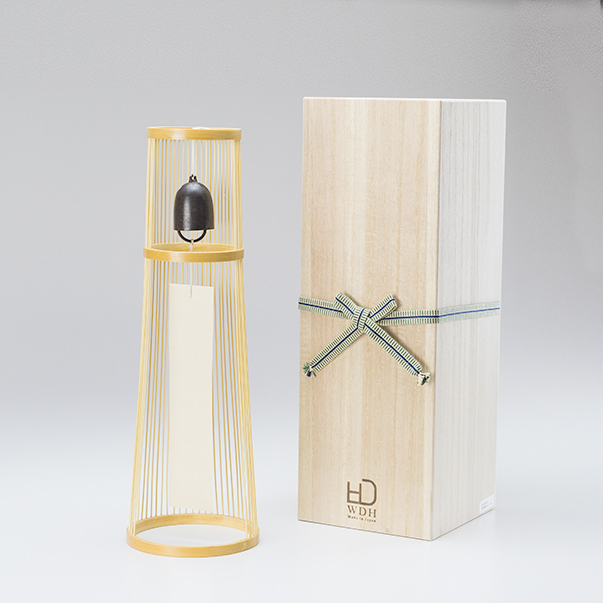 The recipient can use the tabletop wind bell of WDH for a long time. The Japanese wind chime color the life of your important people. You can enjoy the tabletop wind bell the whole year. 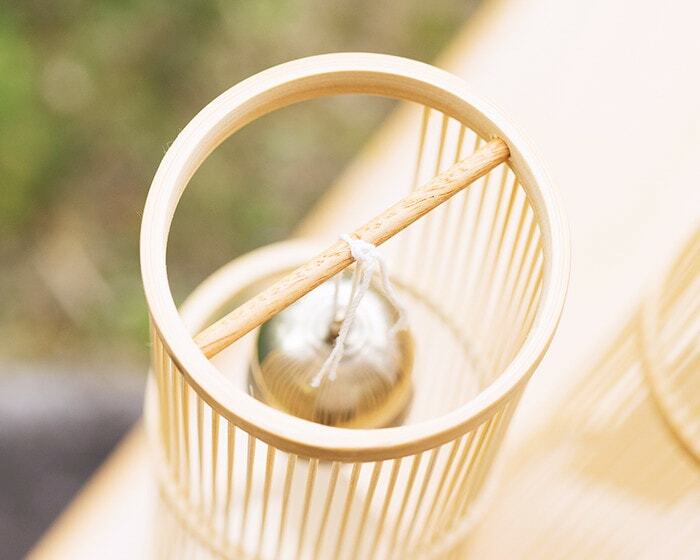 So, stylish Japanese wind bell is suitable for wedding gifts or housewarming gifts. 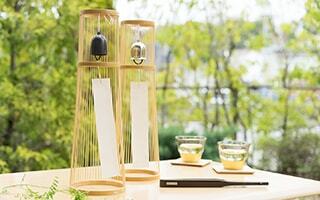 Also, the Japanese wind chime is great gift for the Mother’s Day or the Father’s Day. In addition, Japanese furin has been popular item as a souvenir from Japan or gifts for Japanese lovers in other country. 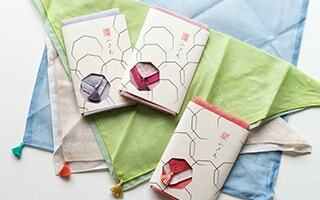 For gift wrapping, elegant Tosa Japanese paper is recommended! 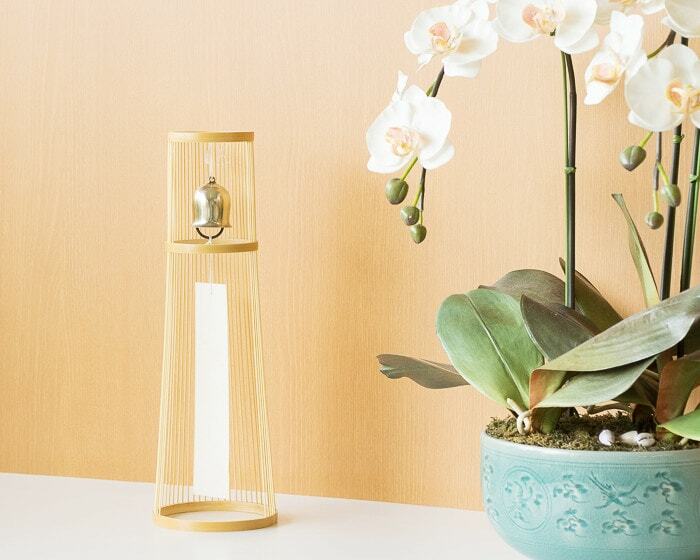 The Tabletop wind bell of WDH is a masterpiece that pursues in every detail including the box. 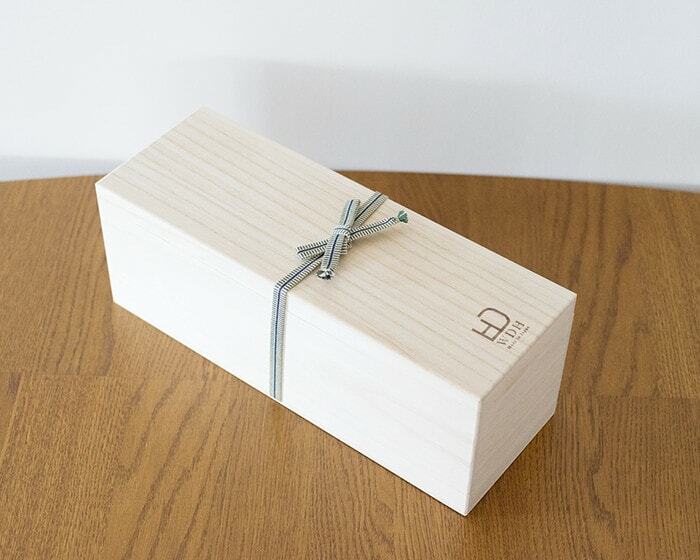 Elegant paulownia box is good enough for a gift. Also, if you choose Inside Noshi wrapping with Japanese Ume-Mizuhiki, we put Noshi inside of the Sanada tape. Japanese Ume-Mizuhiki will be put on the wrapped paper, not the center of Noshi paper. Please note that we cannot offer Japanese paper wrapping bag for this product. 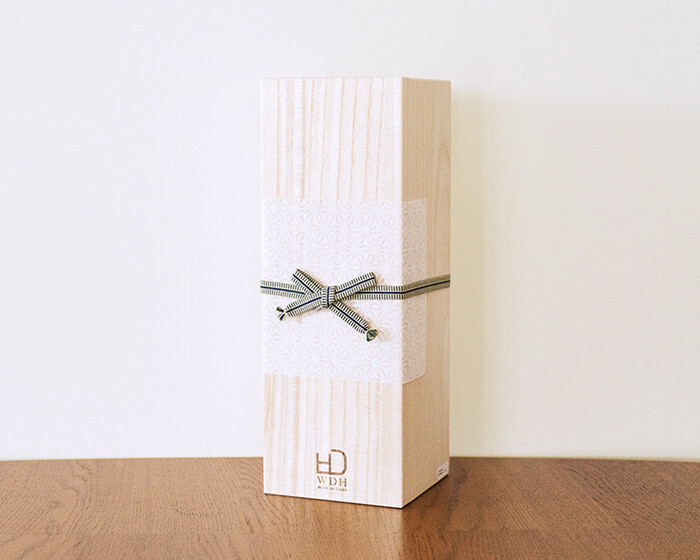 We recommend simple Easy wrapping for the Japanese furin of WDH. 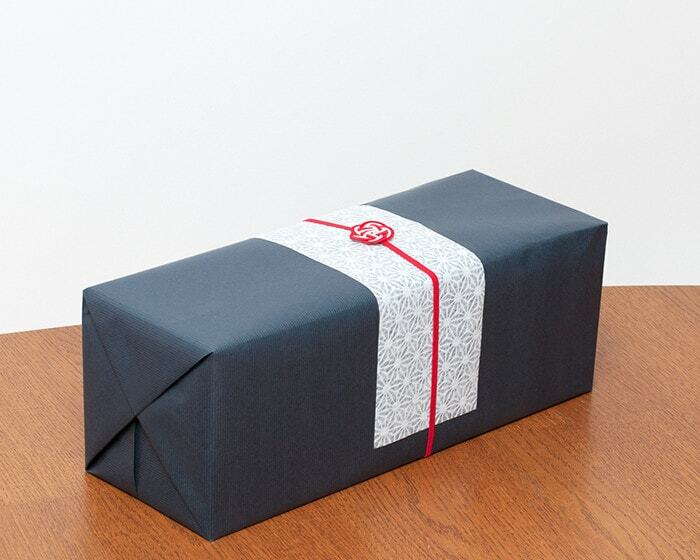 Japan Design Store offers stylish gift wrapping service. 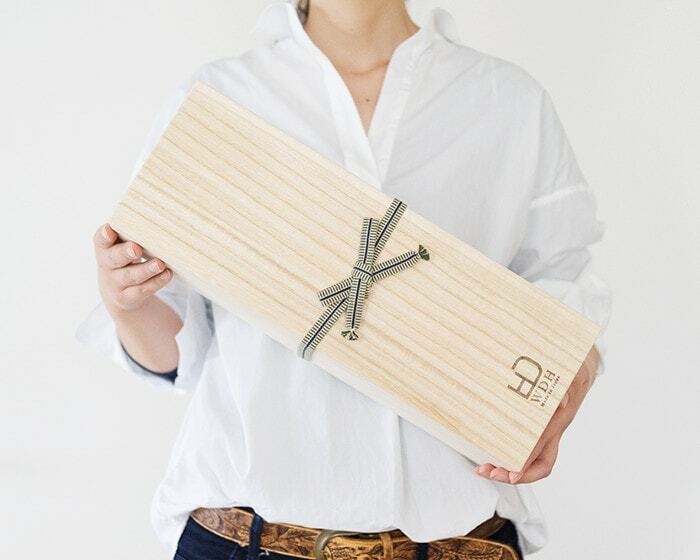 The Japanese and modern gift wrapping suit the high-class paulownia box. 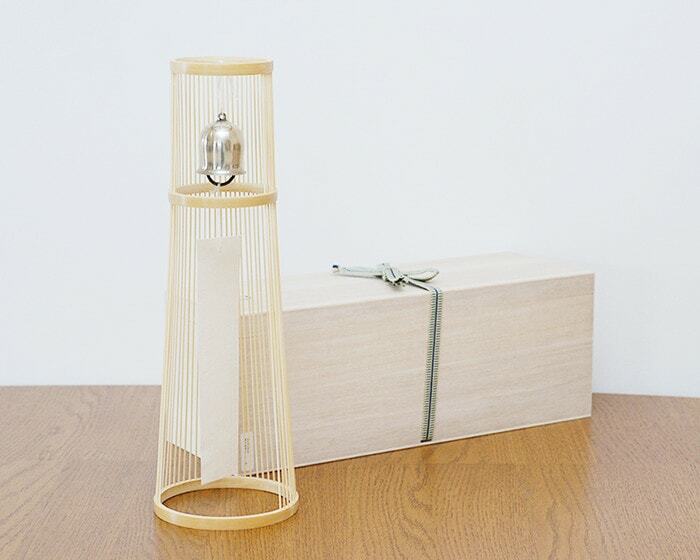 If you would like to send this Japanese wind bell to someone special, please leave it to us! If you like Japanese furin, we recommend another wind bell. 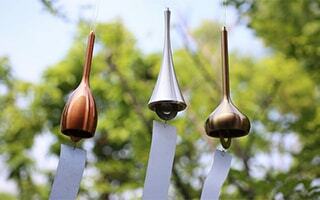 It is brass wind chime from Nousaku. Nousaku is a famous brand of casting in Takaoka city of Toyama prefecture. Their tin products have been popular for its special effects. Nousaku offers wind chime made of brass. 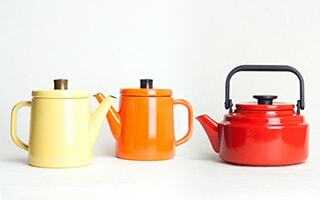 They are 3 types × 3 colors. Please select your favorite one. The clapper of the tabletop wind bell of WDH is made of iron. When you open the wind bell, you can see some black powder around the clapper. That powder is not generated from rust, but that is the sign of crude cast iron. The clapper is cast iron, and not polished. In this way, the clapper becomes similar situation that has coating around it. So, it is hard to rust. Please enjoy the beauty of the material and gentle sound of Japanese furin. * Please do not use the product in other ways of its original use. * Set the product on the stable and flat place. Please do not put the product on the unstable inclines or uneven places. * Keep away from water. 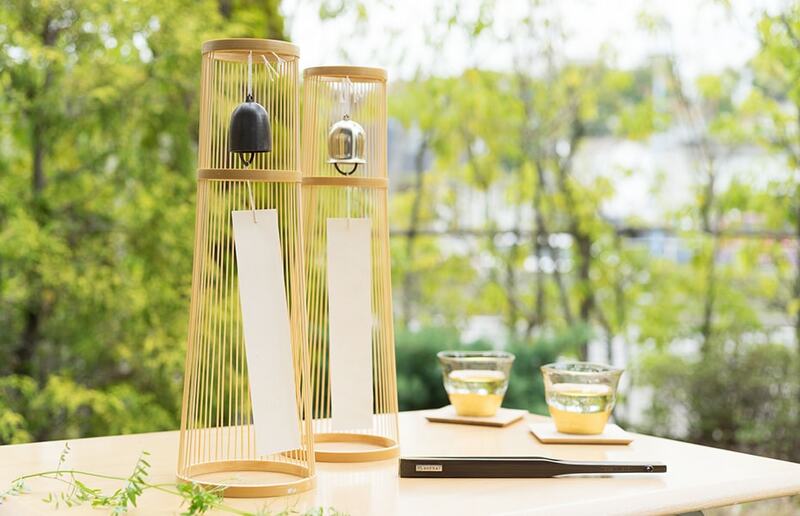 If the stand gets wet, bamboo may become warped or damaged. * Please avoid using wind bell outside in a strong wind or heavy rain. * Wipe off the dust or stain with soft brush or cloth. * When you store the product, please keep it away from direct sun ray or humidity.